So Hoppy Together! ! 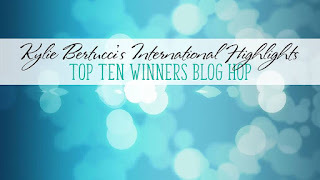 - Kylie Bertucci's Top Ten Winners Blog Hop! 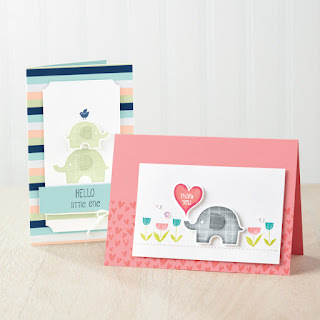 So Hoppy Together - Kylie Bertucci's Top Ten Winners Blog Hop! Wow! When I entered Kylie Bertucci's International Highlights December Blog challenge I never thought I would be voted to come in the top ten!! 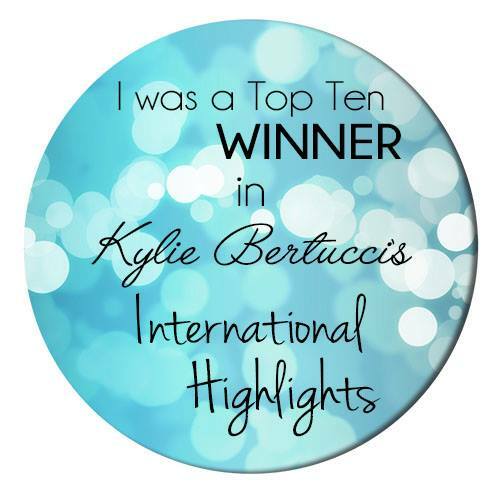 As a winner I get to blog hop with Kylie and the other nine winners. So exciting. 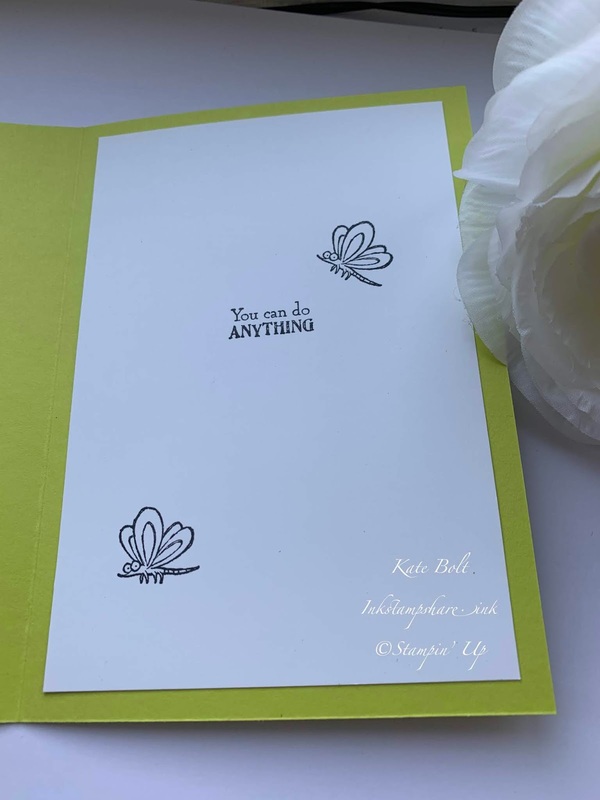 The theme we have is encouragement and I couldn't wait to get out the So Hoppy stamp set that is coming up as one of the free items in the Saleabration catalogue from January 3rd. How fabulous is he! 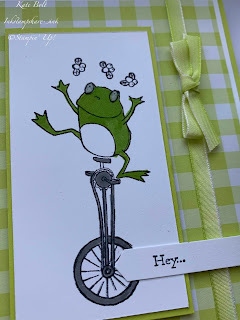 He is riding a unicycle and I stamped the little flies so that he is juggling them! 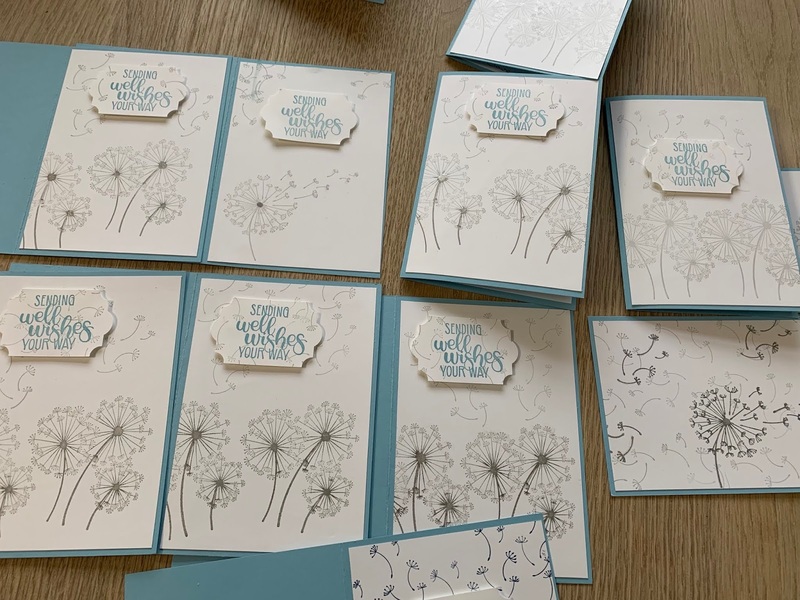 There are so many reasons to send a card with a few words of encouragement on. This card is going to a very special neighbour of ours. He is currently doing a Triathlon EVERY DAY FOR 100 DAYS to raise money for charity. He is over half way now and has carried on, even on Christmas and Boxing Day! What a legend! I kept the card simple. One colour. Lemon Lime Twist. #simplestamping. It was easy to choose as I love these new Gingham Gala papers. They are coming in the new Spring Summer Catalogue from January 3rd. - Thought you'd like a sneak peek. I'm not sure if you can tell from the photo but I have coloured his eyes and then highlighted them and the little flies wings in Clear Wink Of Stella. The sentiment inside " You can do anything " is perfect for this card. 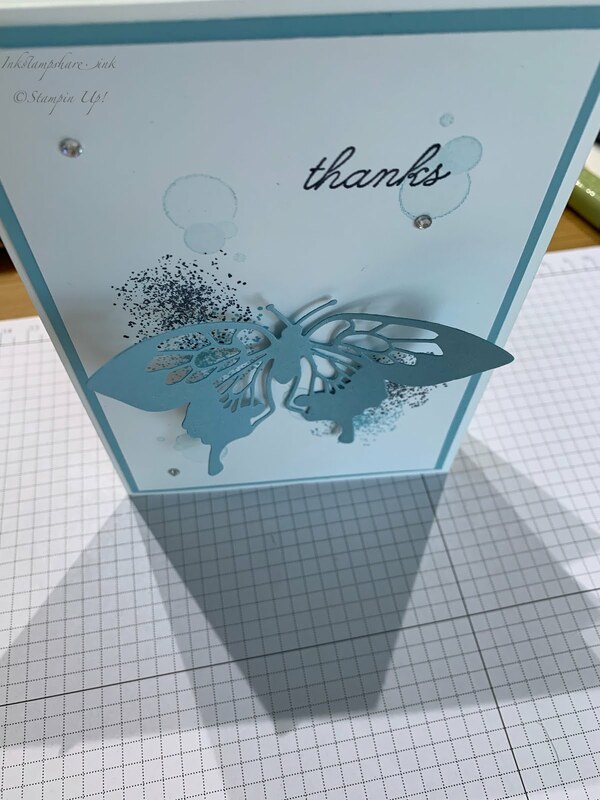 And I have stamped the cheeky little dragonfly image inside too. There are a few frogs and sentiments in this set so it's great for lots of occasions. It is part of the Saleabration offering starting on January 3rd. This means you can't buy it but you can get it for FREE with a £45 spend. How awesome is that! I hope you like this card and perhaps keep my neighbour in your thoughts too. Do grab a cuppa and hop around now (no pun intended 🐸) and you can get lots of crafty inspiration from the other winners! I am now sending out my new Spring Summer and Saleabration Catalogues. Do let me know if you'd like one and I can pop one in the post for you. 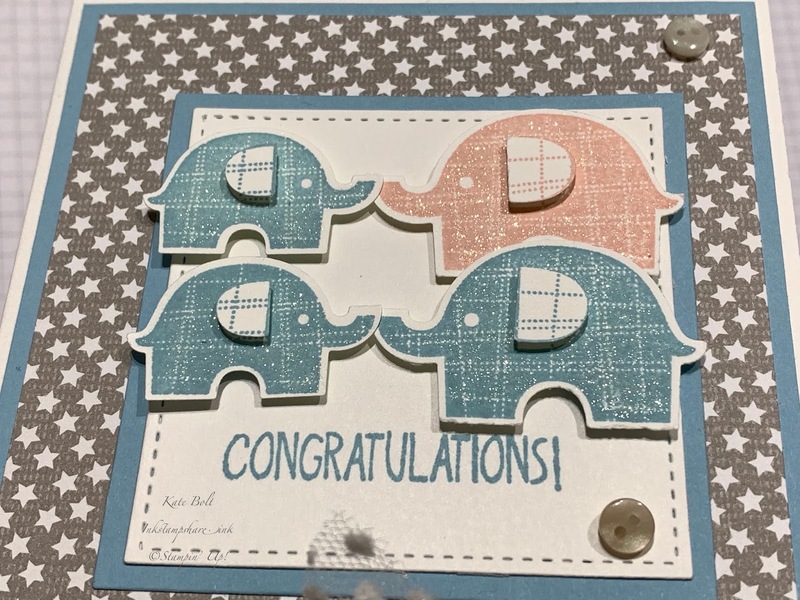 My dear friend has just become a Grandma to twins! 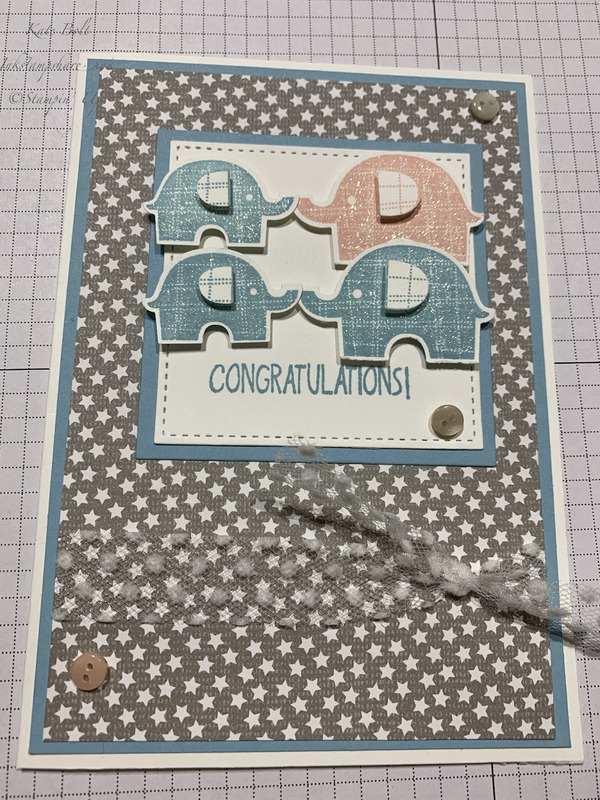 I am so excited for them all, and of course had to make them a card so I pulled out the Little Elephant stamp set / Punch Bundle. The card has been received so now I can share it with you. There are lots of sentiments in this stamp set and it's so cute! 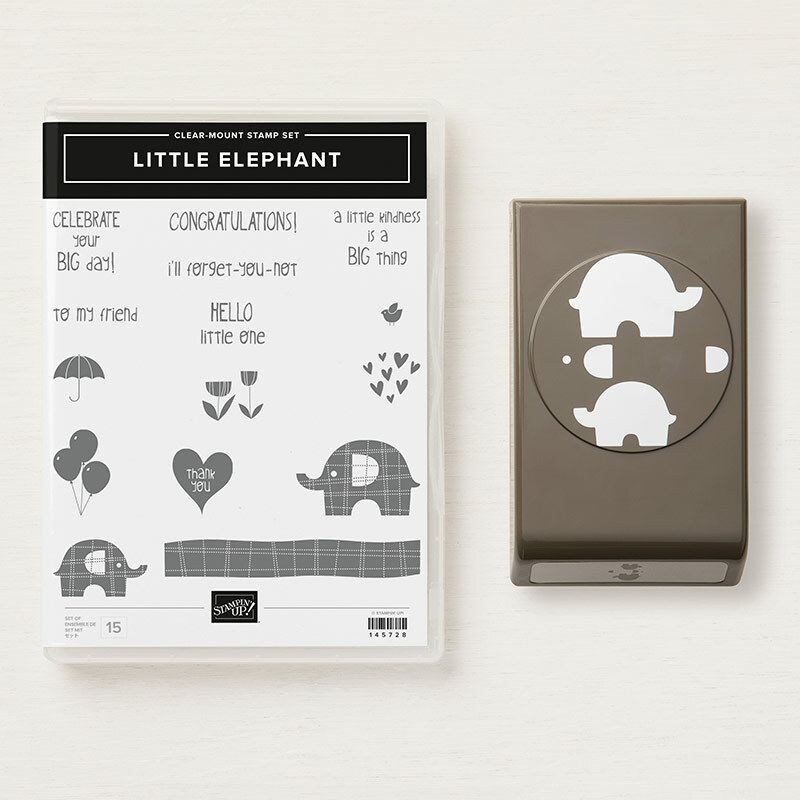 The punch makes easy work of cutting out the elephants! Perfect for what I was after. I added Clear Wink Of Stella to the Elephants for a little Shimmer. And a little of the Polka Dot Tulle Ribbon for the finishing touch. 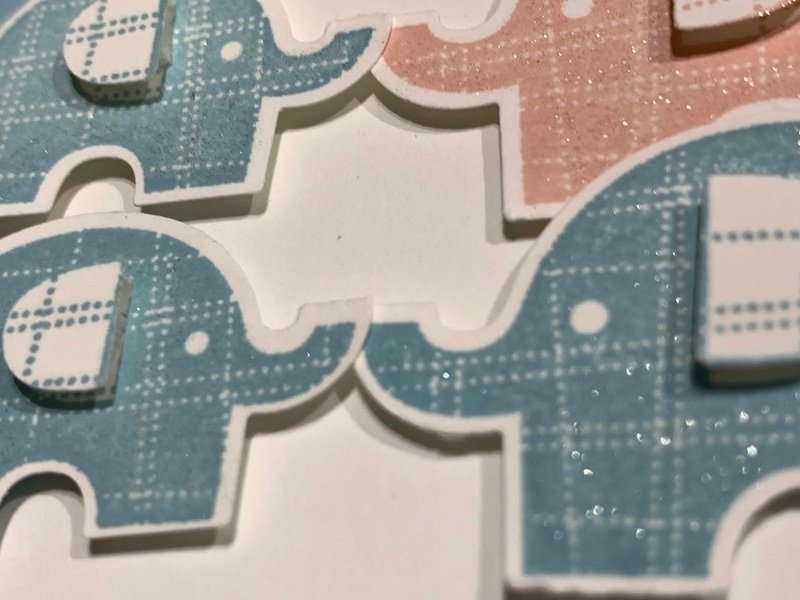 I went for traditional baby colours for my little Elephant family, Balmy Blue and Powder Pink. The card base and ink matches in Balmy Blue. The paper is actually one of the Festive Farmhouse Christmas papers which is still available in my online shop until it retires on January 3rd. Here are the products we used with clickable links to my online shop. I love this bundle and have lots of ideas for using it, so do keep an eye out for more projects with it coming your way. I'm now sending out the new Spring/Summer and Saleabration Catalogues that launch on January 3rd. Do let me know if you would like to one and I would be happy to send you a copy. 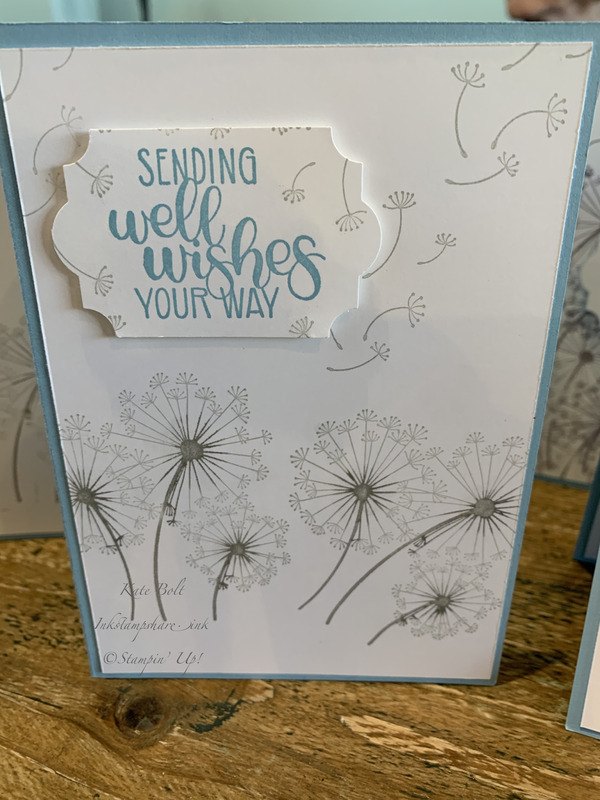 I had a request to make Get Well cards at Coffee and Cards this week for one of our ladies. aren't they thoughtful! This was a perfect idea so, I couldn't wait to ink up Dandelion Wishes again. 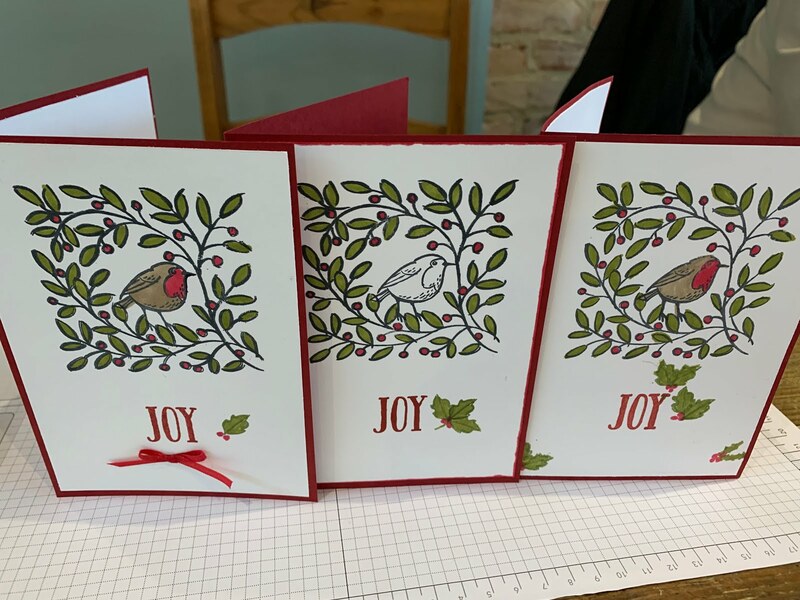 It was a very festive Coffee and Cards this week as it was our last before Christmas. The ladies at Monday's session made these. They are lovely aren't they! And these were made at Tuesday's session. So pretty. 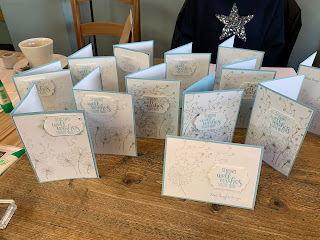 I hope you like seeing what we get up to with Coffee and Cards. Do join us if you are local. 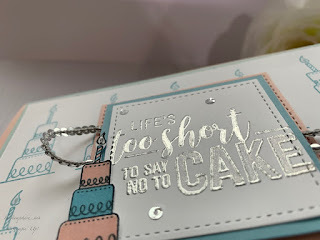 Life's Too Short To Say No To Cake! Sneak Peek From The New Spring/Summer Catalogue! 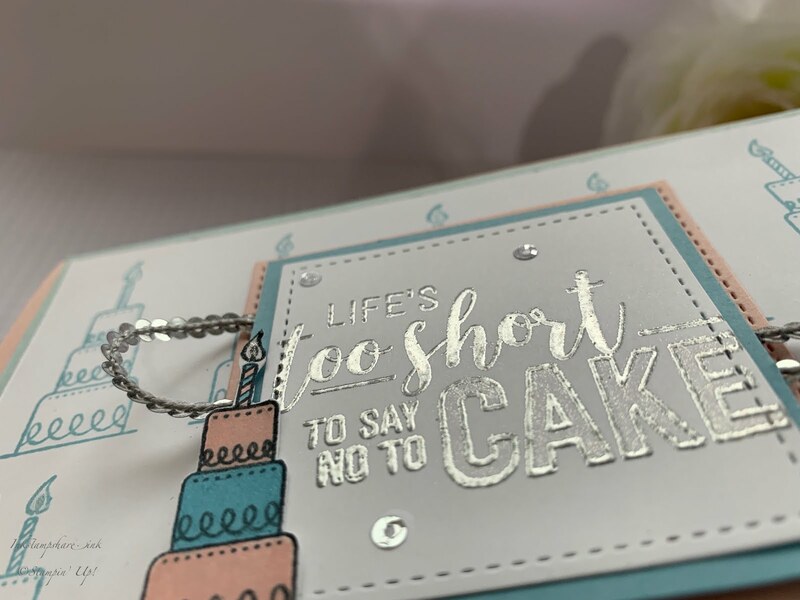 Life's too short to say no to cake! Isn't that the truth. 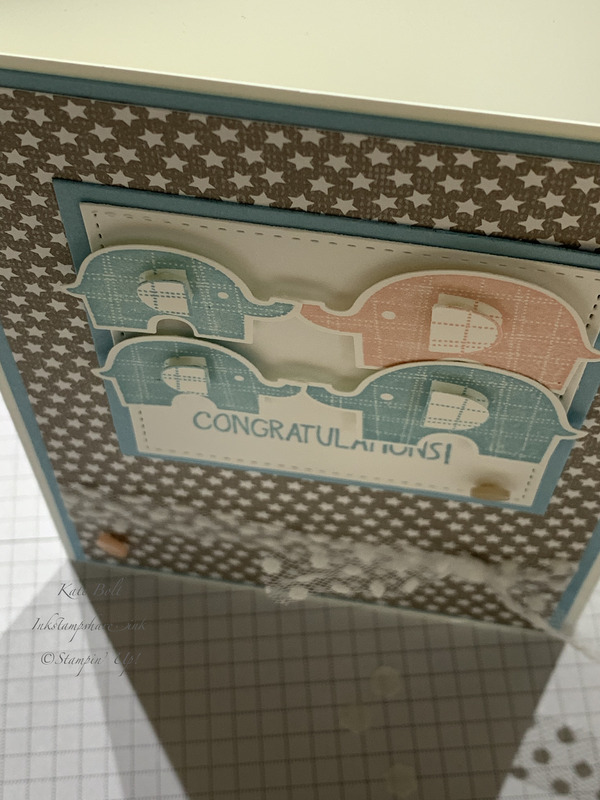 We have a Party theme this time for the Inspire Create Stamping Challenge. 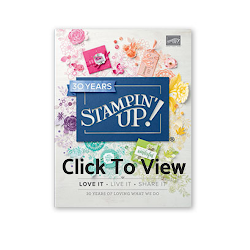 I thought I would give you a sneak peek at the new Amazing Life stamp set that's coming in the new catalogue in January as it fits perfectly with this theme. After all, what's a party without a cake! 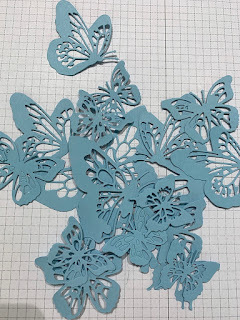 I used the Stamparatus to stamp the cakes in Balmy Blue ink on Whisper White. The hinge step technique makes lining those cakes up, oh so quick and easy. I stamped the sentiment in clear Versamark and heat embossed in silver before cutting it out with a Stitched Square Framelit. This was layered on a square of Balmy Blue card and then onto a larger stitched square in Powder Pink with some Dimensionals for a little height. 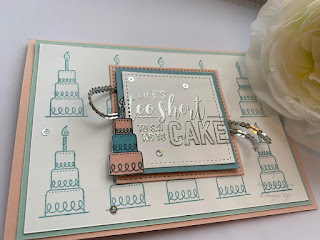 I stamped the little cake again on a scrap of Whisper White in Black Memento and coloured it in with Balmy Blue and Powder Pink Stampin' Write Markers. I cut it out and attached it to the front of the card. Can you see how I have coloured in the word CAKE with my clear Wink of Stella to give a little shimmer. It looks like frosting don't you think! 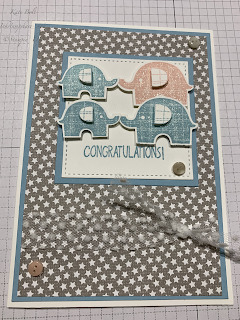 I added some Silver Mini Sequin trim to finish it off and added a few sequins around the card too. Do hop over to the Inspire Create Stamping Challenges here to see what the rest of the talented Design Team have come up with. Do play along too. It is very easy to add your link. Every challenge, a winner is announced and we love to have lots of entries. I hope you like my card. I have ordered my new Spring Summer Catalogues today. Do let me know if you would like to go on my list to receive one and I would be happy to send you a copy. 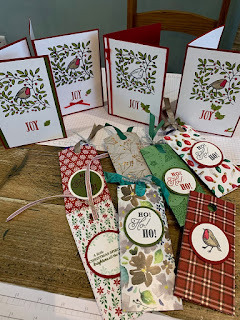 Thank you for joining us for our December Blog hop! 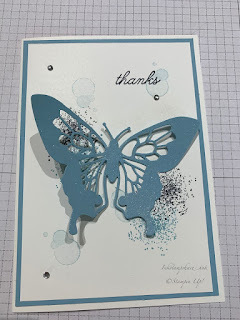 I have been itching to share with you the new Butterfly Beauty dies that I have been playing with. You are going to want to get your hands on these! They are going to be available when the new Spring Summer catalogue launches on 3rd January. You may be starting here or have come from another blog. The list is at the end of the post so that you can hop along to each post. 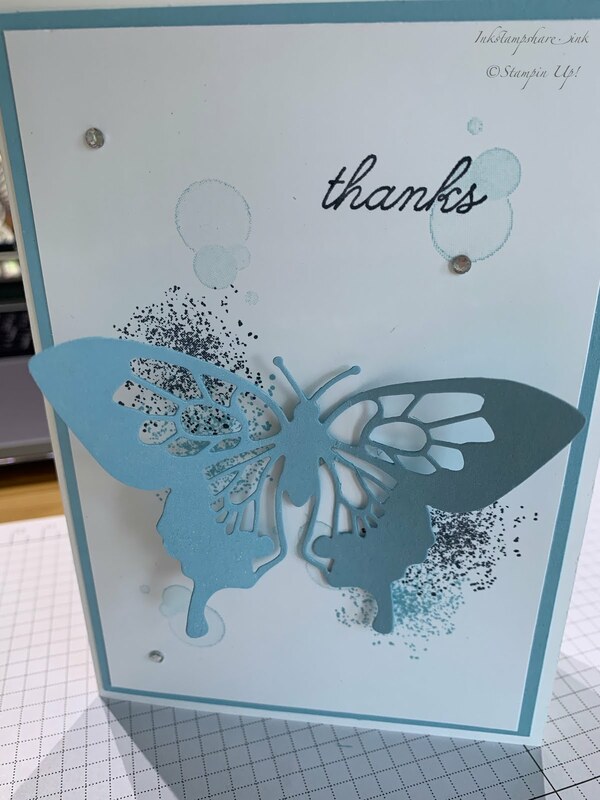 This butterfly is just gorgeous and teamed up with the coordinating Beauty Abounds stamp set makes short work of creating a wow card . 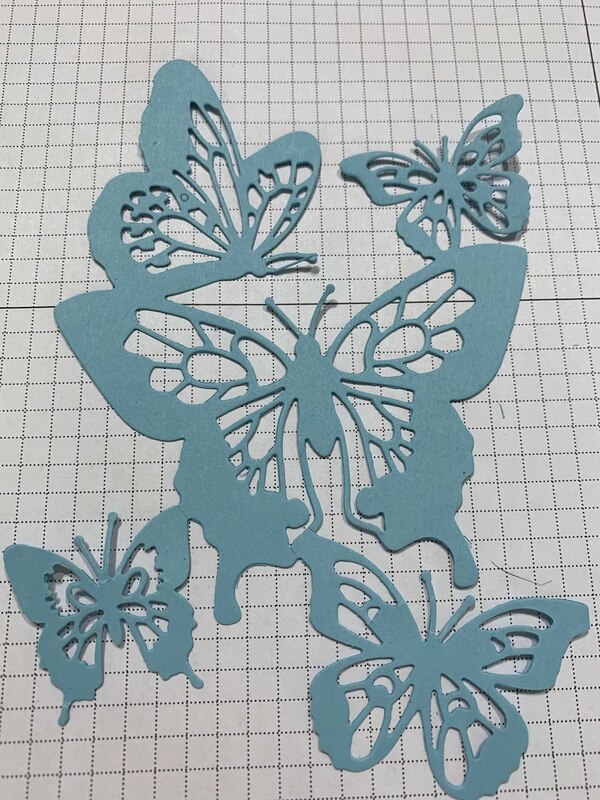 This is the cut out from just one of the dies and there are 20 dies in this set! There is another similar die in the set too that fits together with this one exactly to make layered butterfly wings. 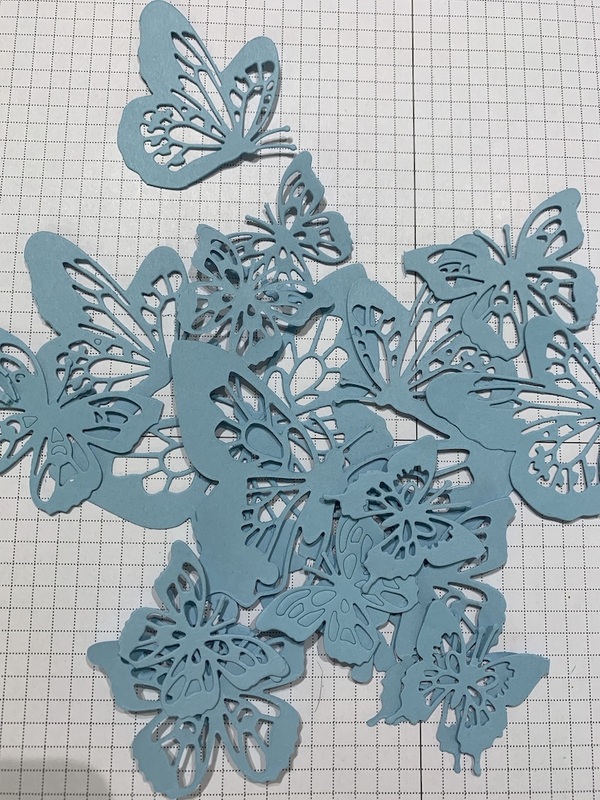 I simply cut a few of these and then snipped the butterfly's apart to give myself a whole heap of them to use. They snip apart easily. 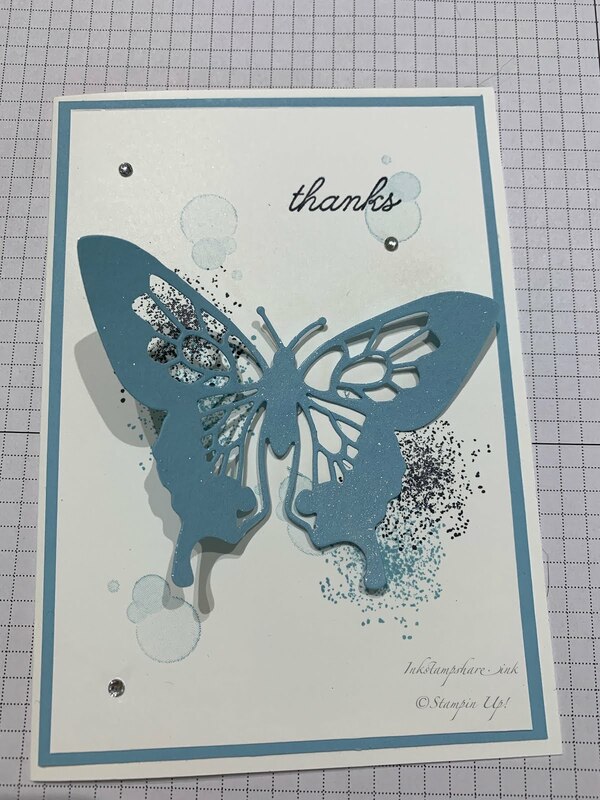 I have quite a few customer thank you cards to make and I thought these butterfly's would be perfect. 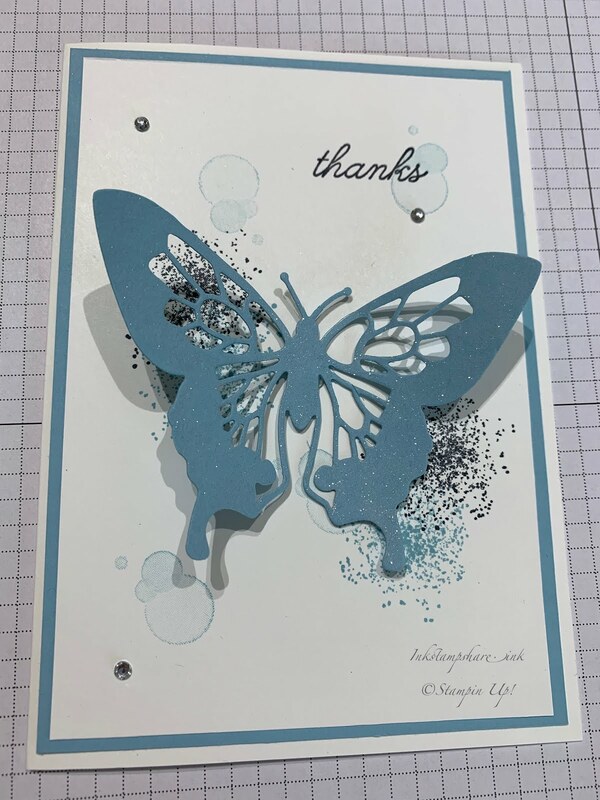 Some simple stamping in Balmy Blue to match the card stock and Memento Black using the Beauty Abounds stamp set and then adhered the butterfly in the middle with a glue dot to leave the wings free to curl up a little. So difficult to see in the photograph but I have coloured the butterfly with Clear Wink Of Stella foe some added sparkle. I've added some rhinestones dotted around for the finishing touch. Do grab a cuppa, hop around and enjoy ! I hope you like my card. I absolutely love the new catalogue and hope you've enjoyed a glimpse of what's inside. I've ordered my new Spring Summer Catalogues . Do let me know if you would like to go on my list to receive one and I would be happy to send you a copy. Feathers And Frost, Feeling Thankful At Coffee And Cards! - International Blog Highlights! 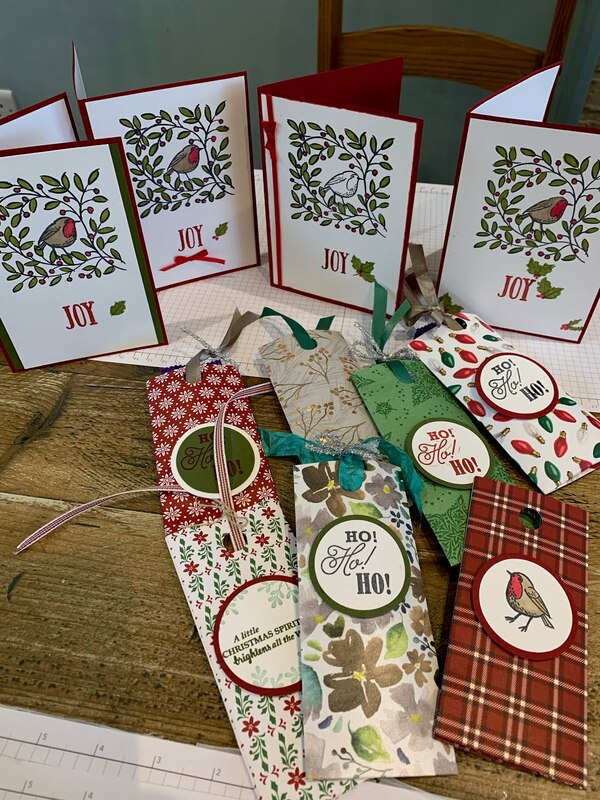 Feeling Thankful At Coffee And Cards! Thanks for coming to my blog today. We are being highlighted by Kylie Bertucci and you will be able to vote for my project. The top ten winners will get to be part of International blog hop so please vote for me. You can vote for me here. The theme we have is thankfulness and gratitude and whilst I don't have a thank you card for you, it is a very apt card for this theme. Next Monday brings my last week of Coffee and Cards for this year. Each week I run two Coffee and Cards sessions and we have such a lovely time. Today the ladies were all reflecting on how much they enjoy it, what it means to them and why they like to come. This was rather a humbling experience for me. I love this part of my week, we all gather together, craft, giggle, put the world to rights and leave any worries behind. As they spoke about their reasons why they come it occurred to me that they possibly don't realise that I love it as much as they do, and how much joy it brings me. Quite a fitting card today don't you think! 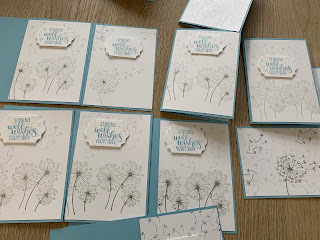 It may be part of my Stampin' Up business but that I value each and every one of them and the connection that we share. This week at Coffee and Cards I showed them by using the Stamparatus you can make a batch of cards quickly and easily. Here are some of the ones made this morning. I think they loved the Stamparatus as much as I do. 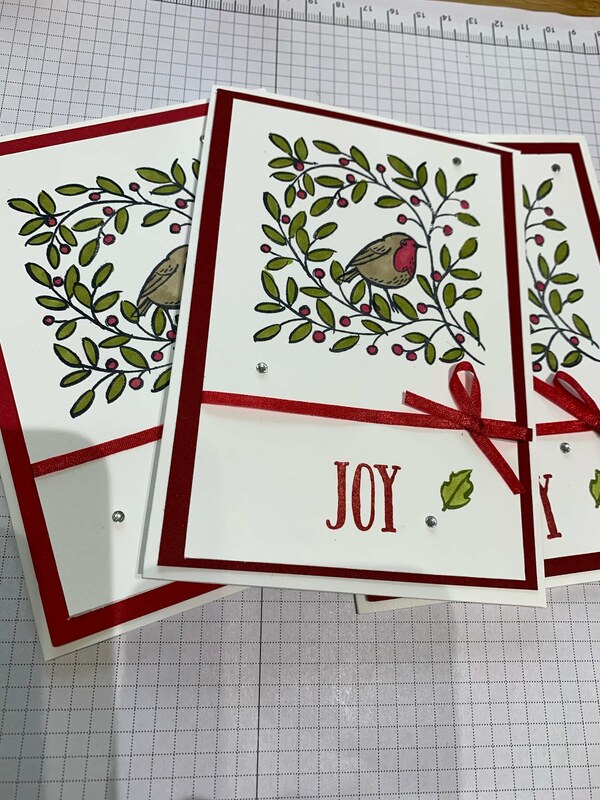 It's certainly much easier to make a batch of cards and of course there is no "mis stamping" too. 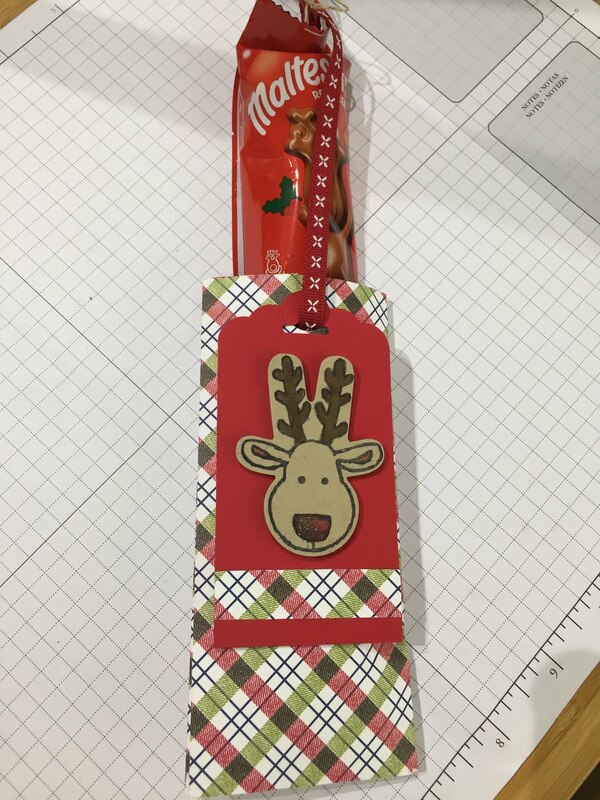 I hope you like my "Joy" card. Do vote over here. I would LOVE to take part in the International Blog Hop featuring the winners. 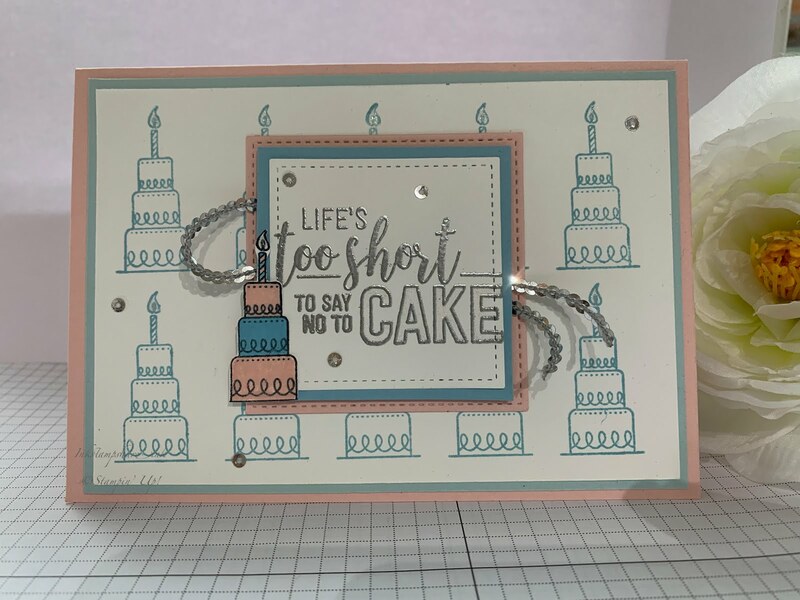 Our second card today was not a card but upon request a repeat of the simple chocolate sliders we made a couple of weeks ago. A couple of the ladies missed it and when told about them by the rest of the group wanted to have a go. The rest of the group were very happy to make them again too. Such a lovely group! Aren't they fun. These one's have Freddo chocolates inside. 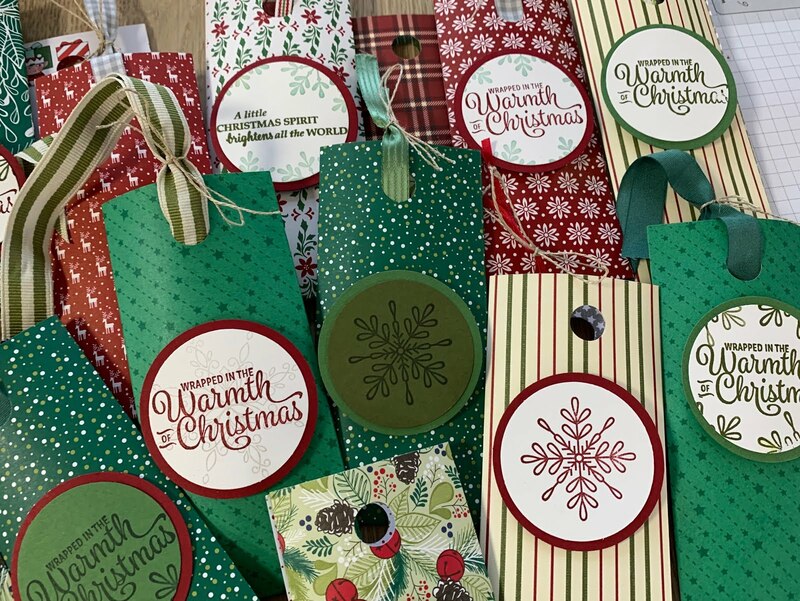 Perfect to hand out or put in a stocking. See how the chocolate slides out like this? Theses are the ones we made a couple of weeks ago. I do feel that my Christmas cards to these lovely ladies will be more of a thank you card, for making my week special too. It's amazing the friends and relationships you make when you are stamping and for that I am thankful. 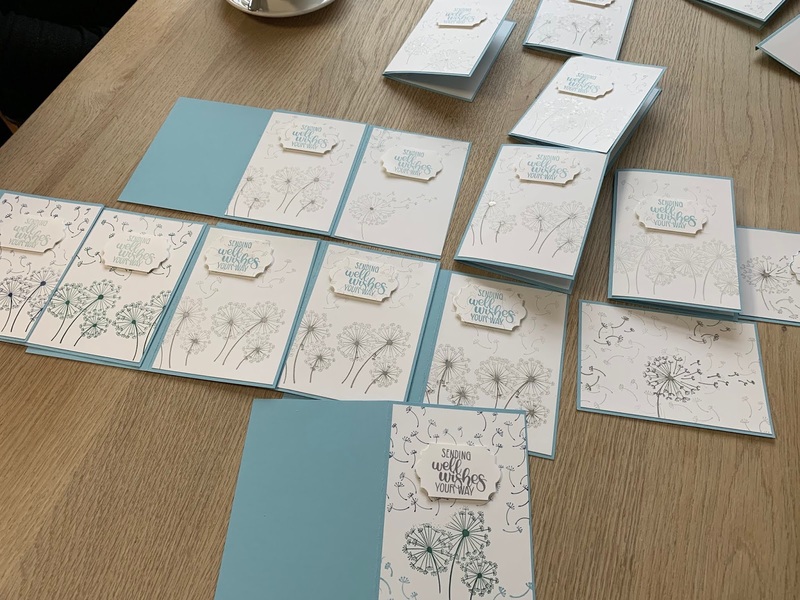 so watch this space next week for some special thank you cards that I will be making over the next few days. I will post them here after they have been received. I am very much looking forward to tomorrow's Coffee and Cards and more play with the Stamparatus with good company, coffee and maybe a little cake! 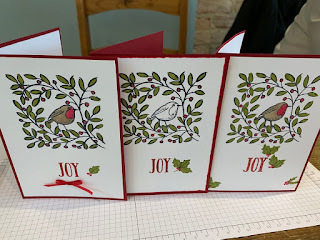 I hope you have enjoyed seeing what we have been making at Coffee and Cards this week. I've ordered my new Spring Summer Catalogues . Do let me know if you would like to go on my list to receive one and I would be happy to send you a copy.